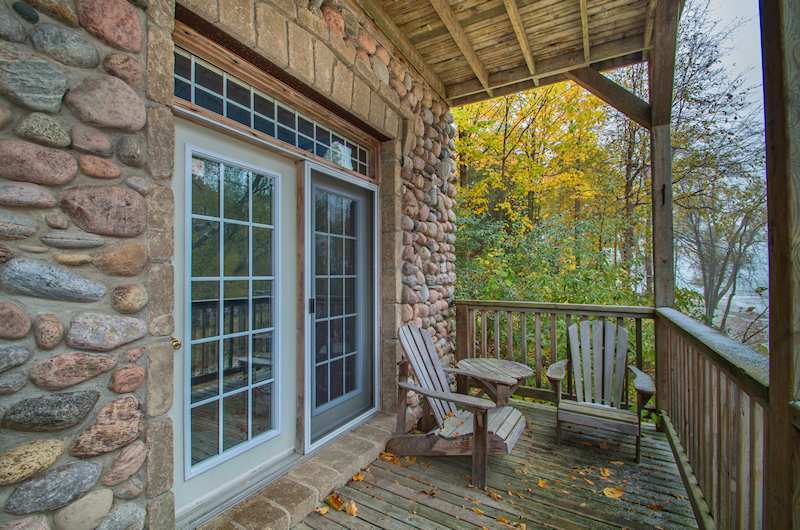 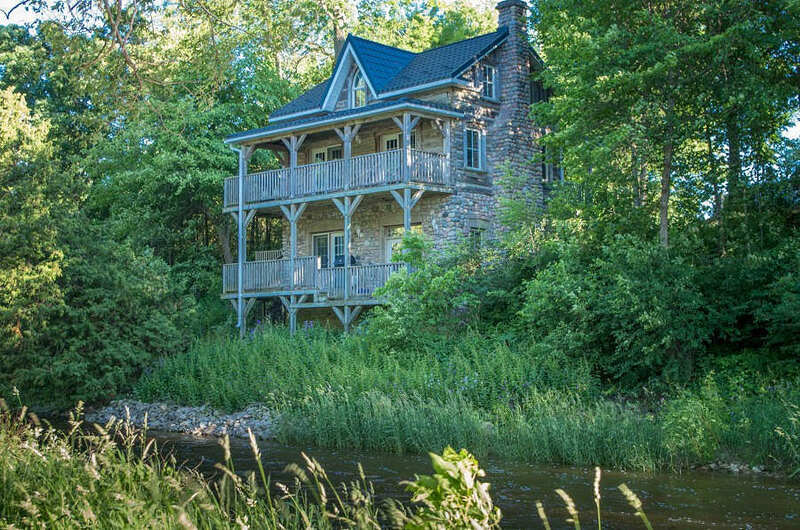 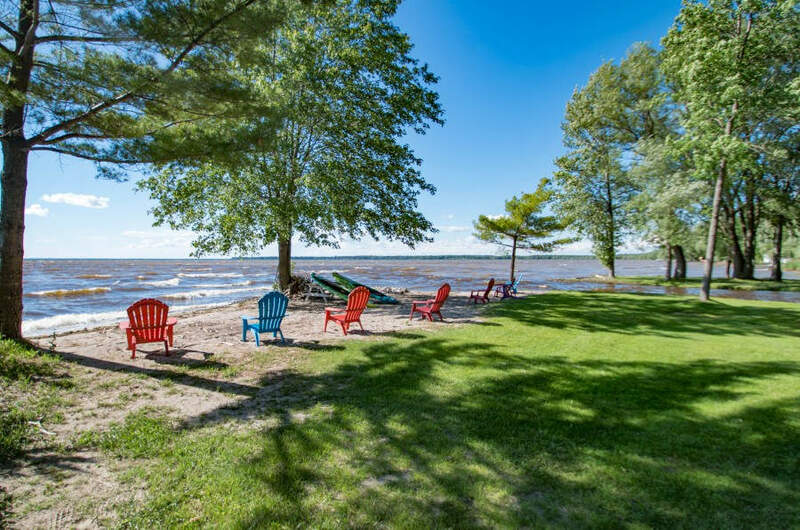 Journey’s End is not just an idyllic location on a sandy Lake Simcoe Beach. 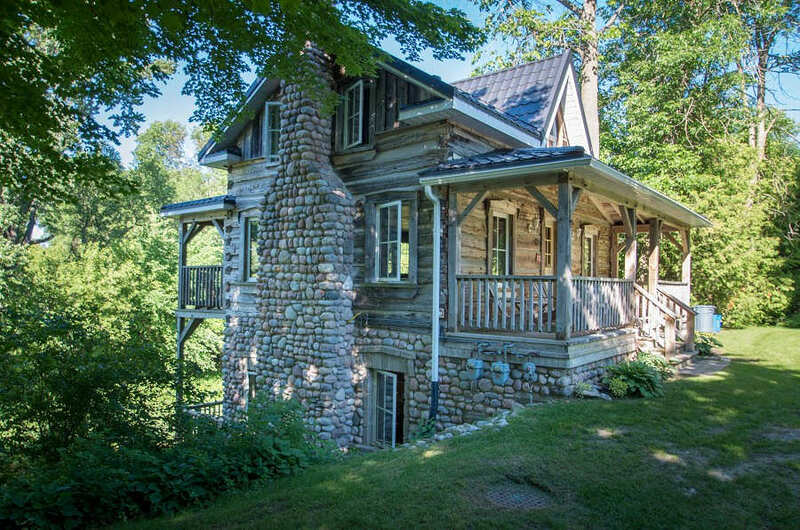 It’s a chance to experience Ontario’s history in an original settler’s cabin with all of the comforts of home. 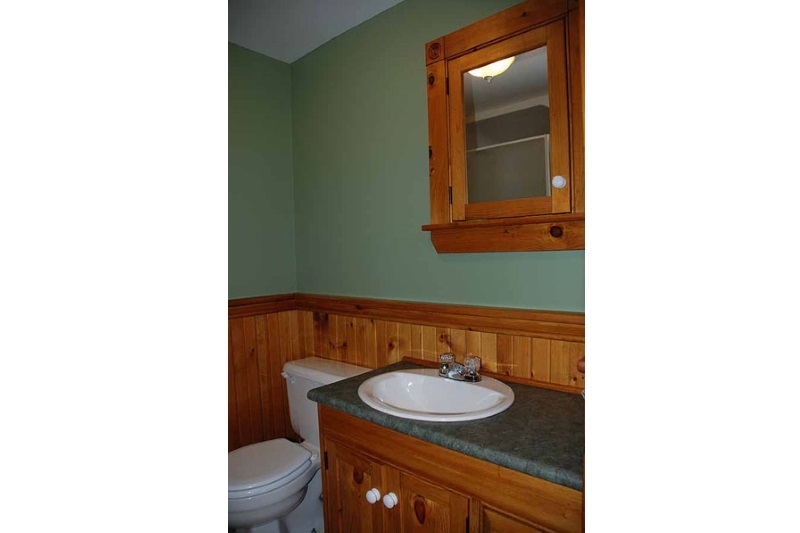 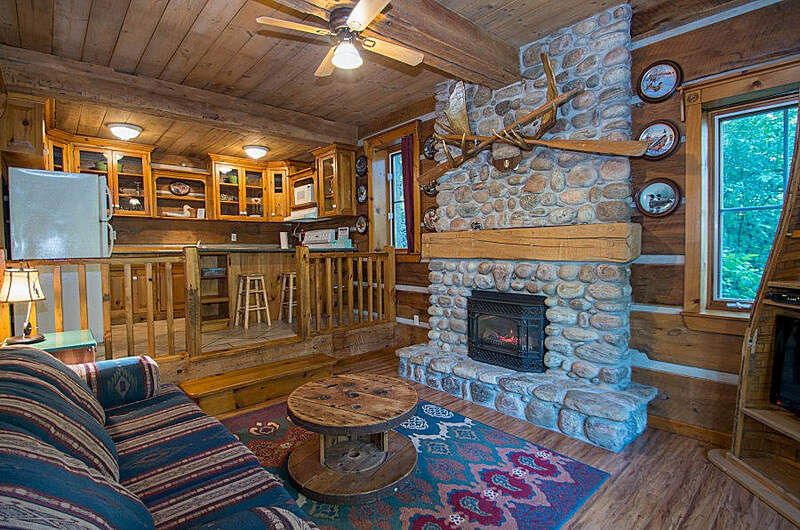 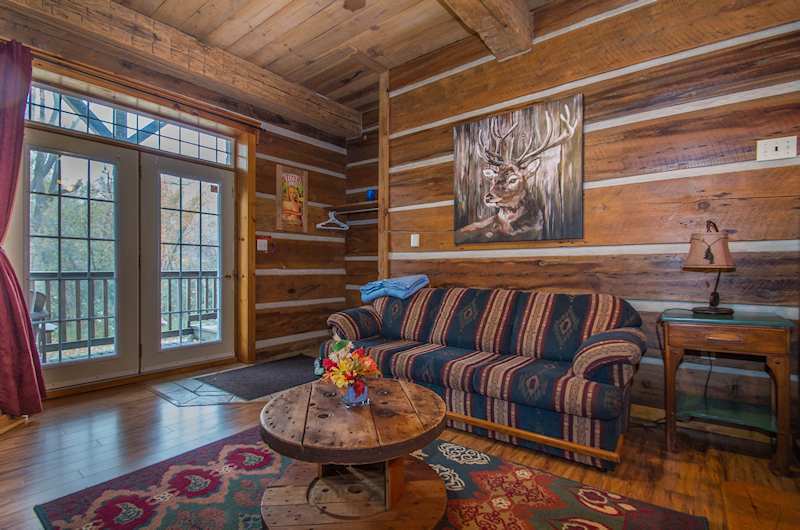 The 1854 log cabin was moved to the current location in 1934 and then meticulously restored by the current owner over the past few years to create two separate and self-contained apartments. 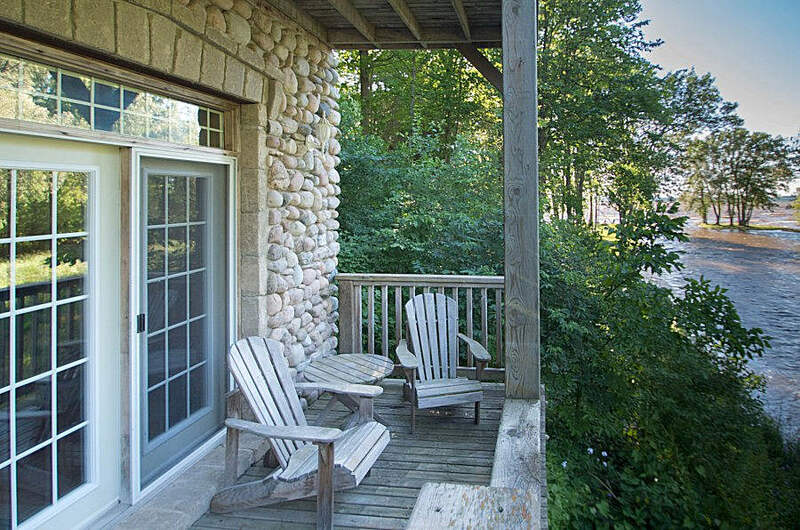 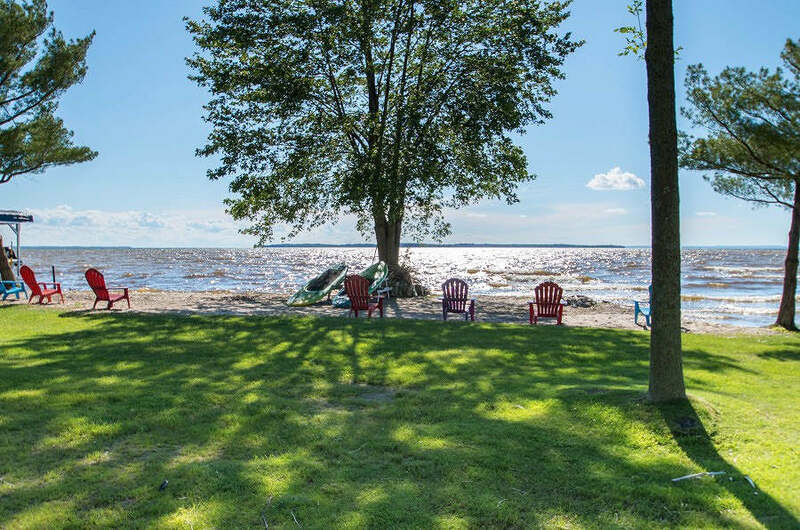 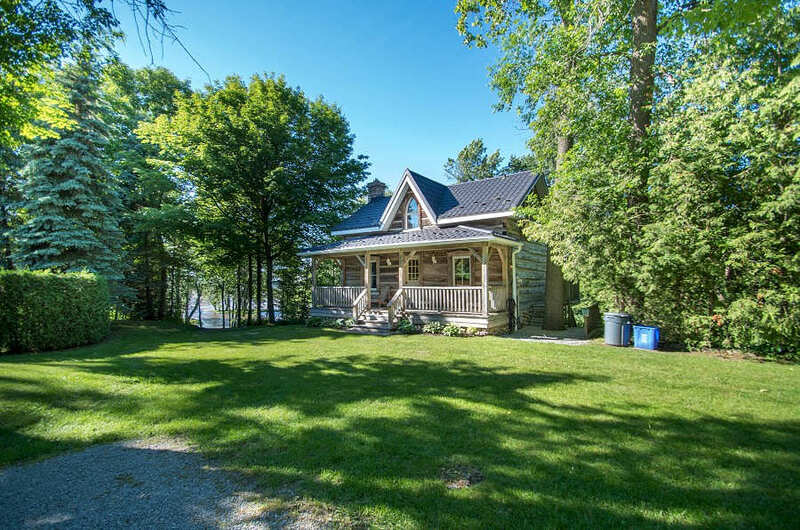 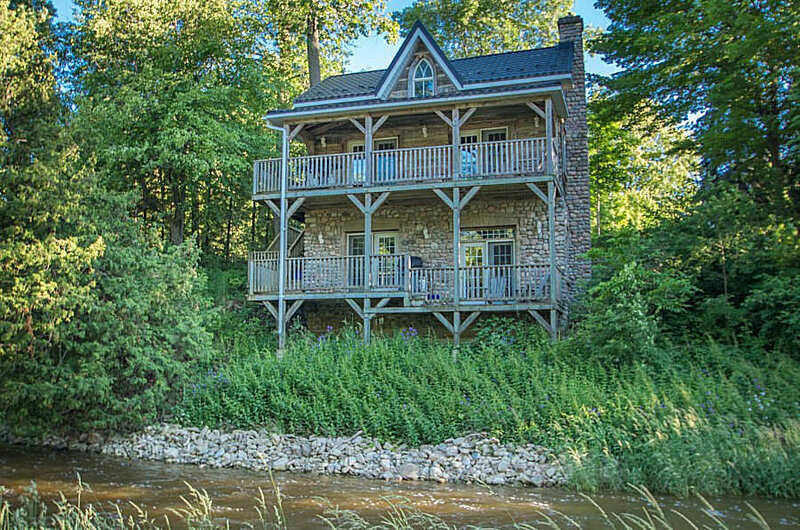 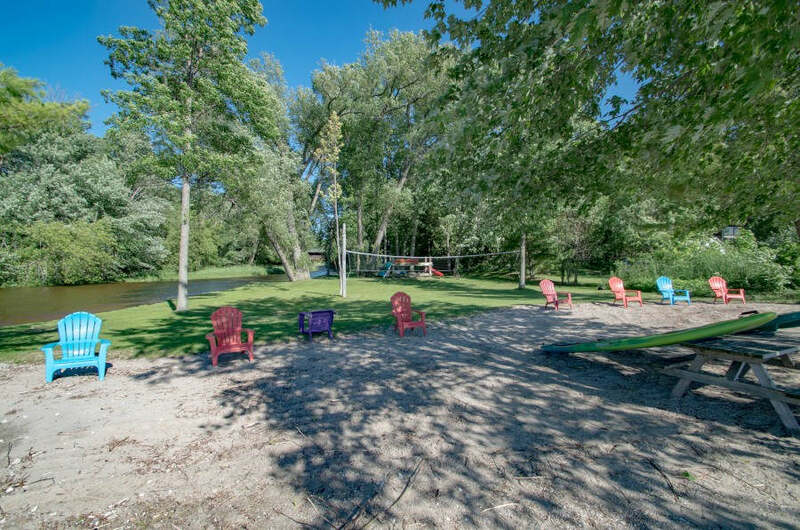 The property boasts a park-like setting alongside picturesque White’s Creek and leads down to a wide sandy beach facing west over Lake Simcoe. 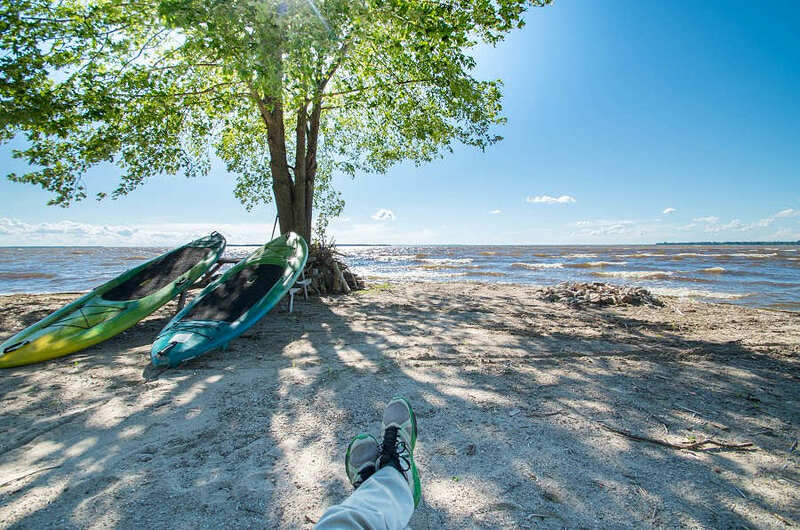 The waterfront is shallow and sandy underfoot with some areas of small rocks so water shoes are recommended. 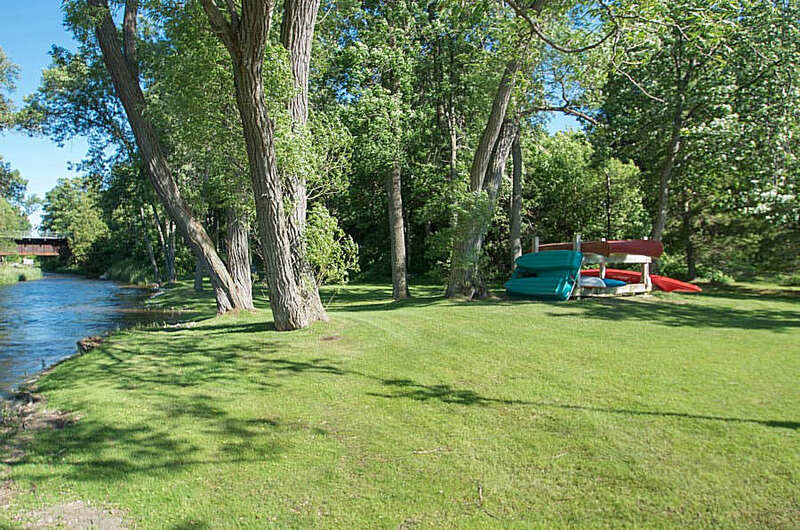 It is shallow for a long way out making this very suitable for smaller children. 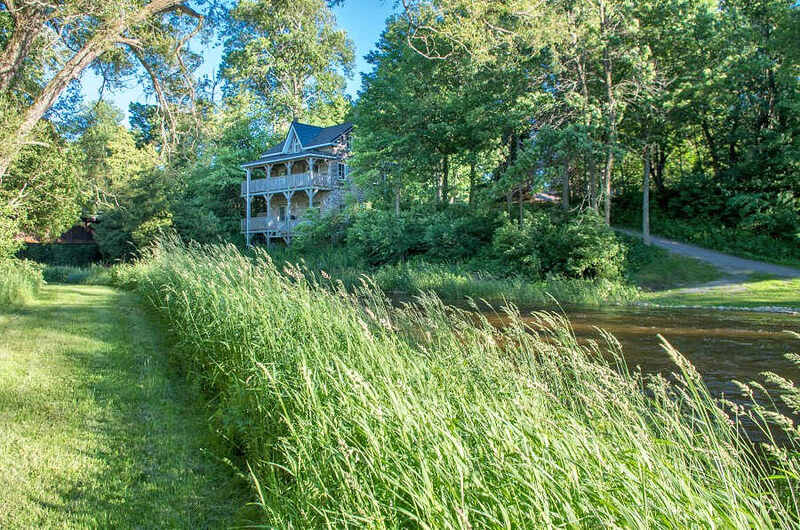 The original CNN railway line is close by and you will see and hear the occasional train, however since there are no public crossings in the vicinity, there’s no whistle! 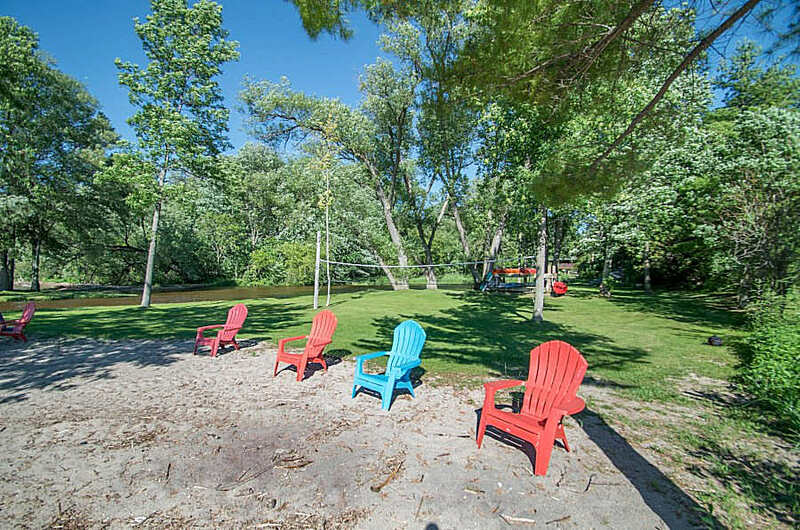 Seating areas by the creek and colourful Muskoka chairs at the waterfront add to the outdoor experience as does the firepit. 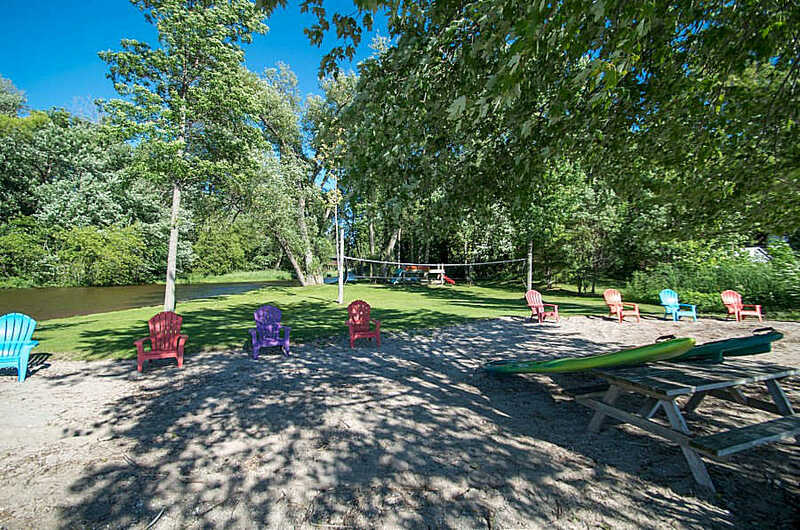 When both apartments and The Yellow Cottage are rented the waterfront and campfire area is shared. 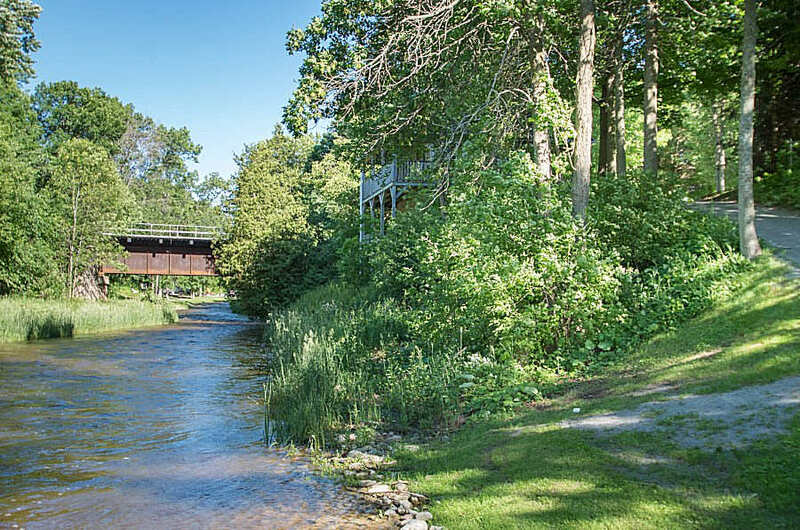 Creekview is the lower apartment and is accessed off the creek side deck into an open plan living room with comfortable seating and a fireplace. 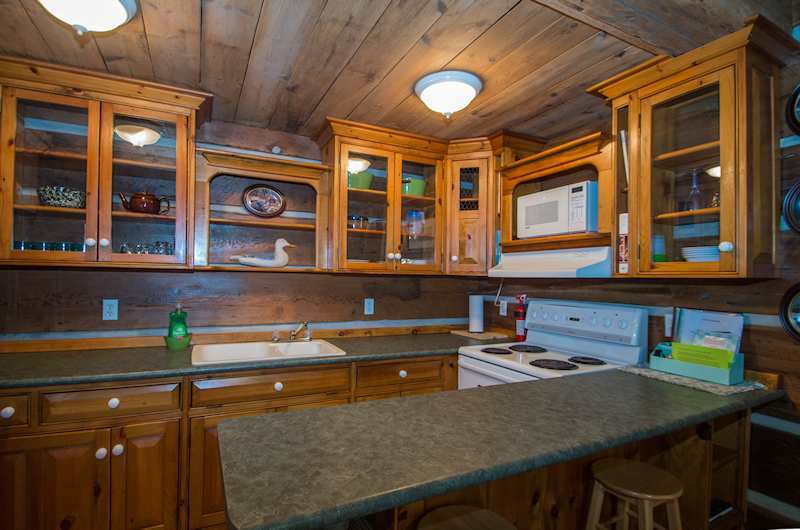 There are two steps up to the well equipped kitchen with a bar counter and stools. 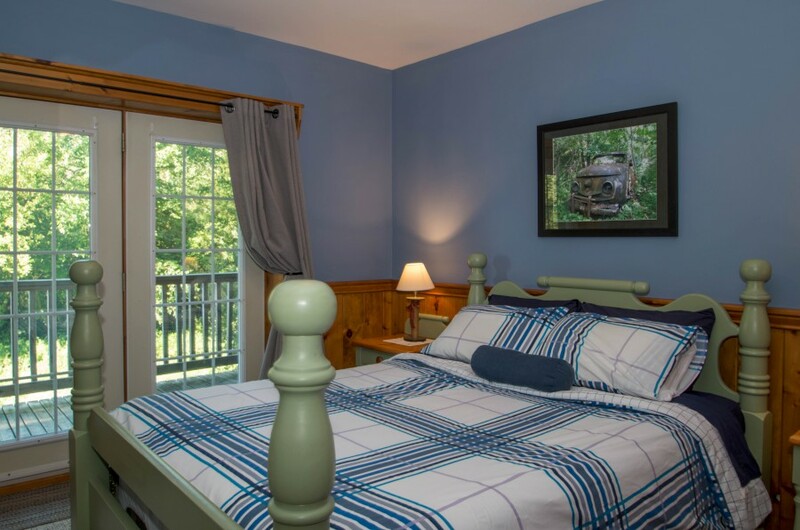 There is a queen bedroom with room for a child’s cot as well as a pullout couch in the living room. 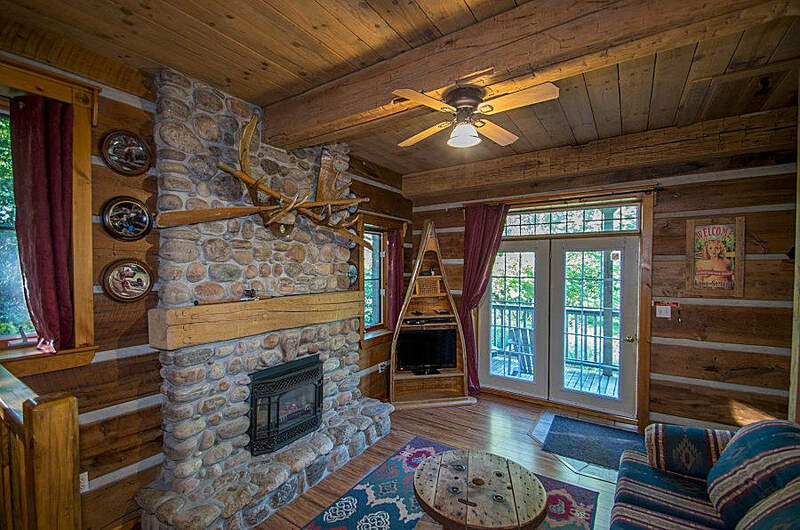 The golden warmth of the wood and logs throughout create a wonderful ambience, and with stone-surround propane fireplaces, cooler evenings in the fall and winter are taken care of. 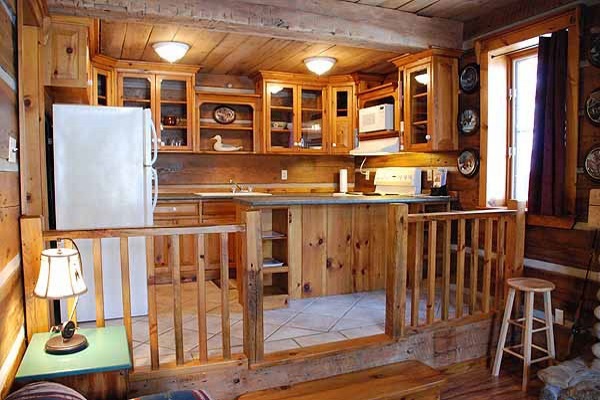 Creekview will accommodate a maximum of 4 people. 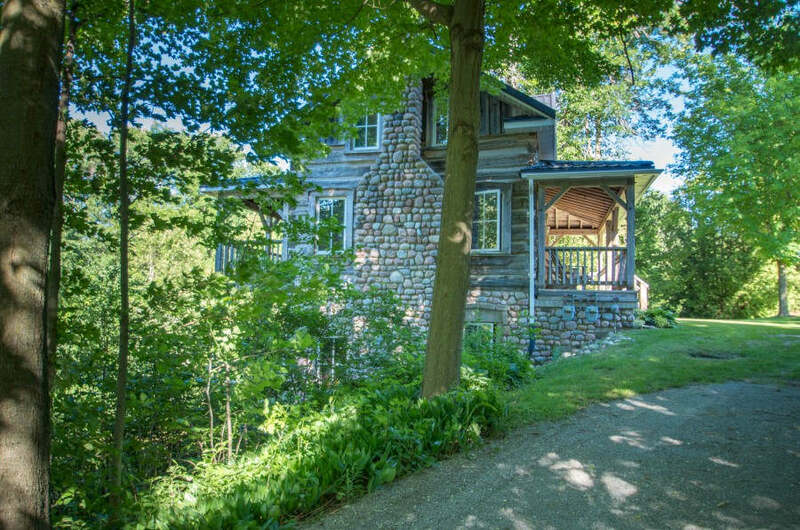 Larger groups (8 – 14 people) can rent Journey's End which is the two apartments together with the 3 bedroom neighbouring cottage.